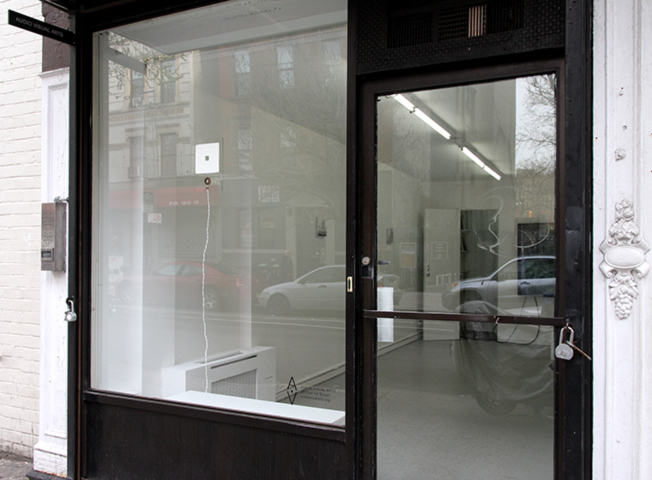 A site-specific companion piece to semblance, ‘tension and contraction’ was created for Audio Visual Arts Gallery where it was first presented. 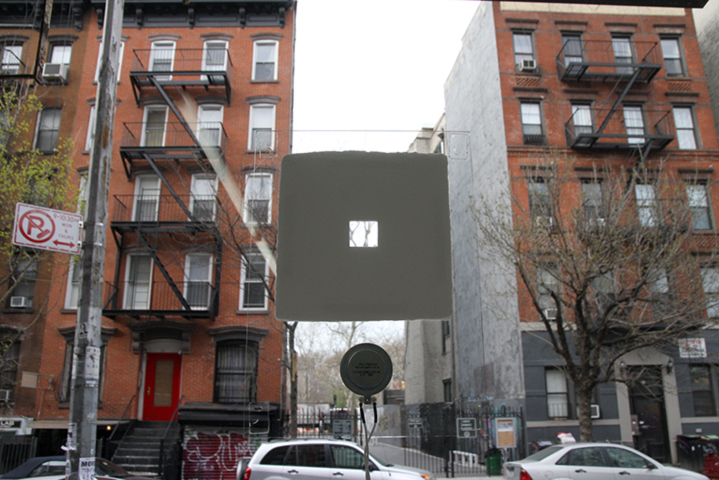 Trained on the trees that are visible in the break in the buildings opposite the gallery, the hole in the paper causes optical tension for stereoscopic viewing. 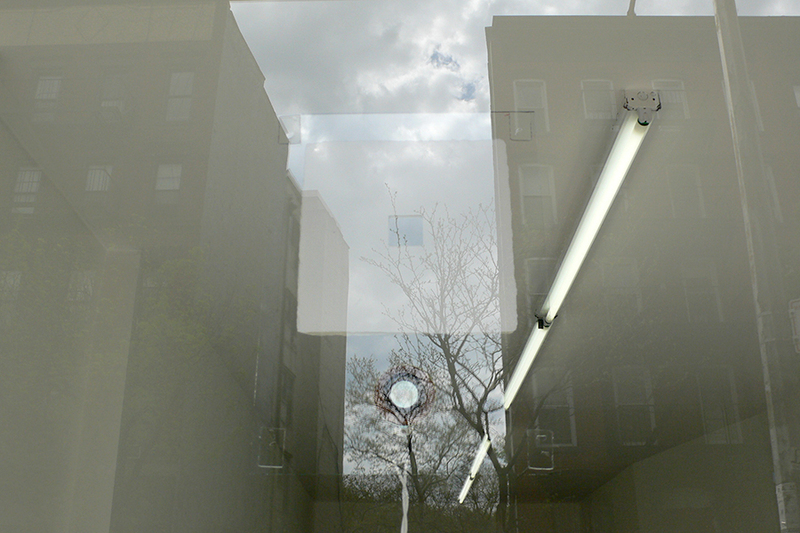 When you close one eye, the trees that are visible through the hole flatten out, the depth-of-field contracts and the viewer resolves the trees and maintains agency over the framing while being denied (by the frame) access to the street context in which the trees live as well as the bustle of the street activity that surrounds them. 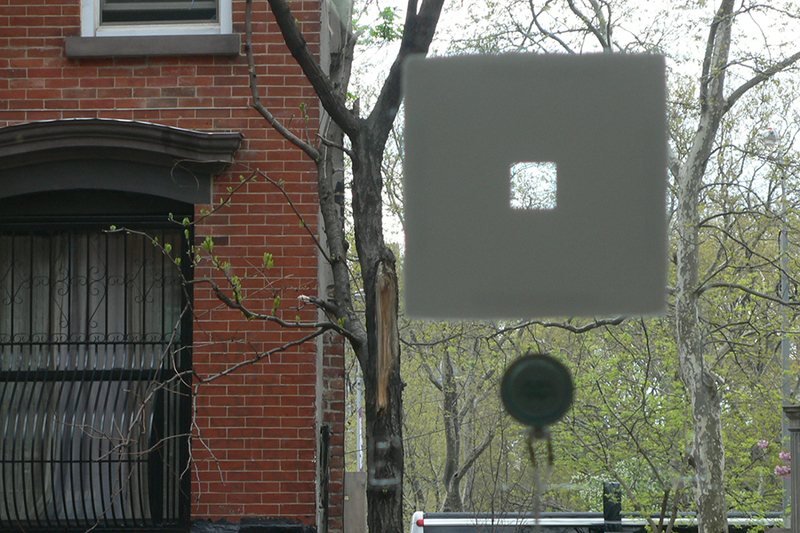 The sound of the wind being played from the transducer mounted to (and making a speaker out of) the window becomes a sound track here, but one that re-contextualizes the trees within the fiction/memory space created by all of the works in the show.